Alongside our white paper, we also publish today a critique of the Make Votes Matter campaign for Proportional Representation. Today, we at NOTA UK publish our definitive white paper on the urgent need for a formal and binding ‘None of the Above’ (NOTA) option on all ballots for elections in all countries claiming to be a democracy. It is our most comprehensive document to date, one that answers all common questions, counters all common rebuttals and lays out the reasoning behind our assertion that NOTA is the achievable logical starting point for reforming our broken electoral systems, installing real democracy and maximising the common good over time. At the 2017 French presidential election, a record number of people made use of the ‘vote blanc’ option, a way of rejecting all candidates put forward at the ballot box. This rise occurred in conjunction with the lowest overall turnout in a French presidential election for nearly fifty years. Clearly, more people than ever felt that the candidates on offer represented a Hobson’s Choice that many could not bring themselves to make and chose either to stay at home, spoil the ballot paper or cast a blank vote. From our point of view, while this is telling, it’s very important to realise that the ‘vote blanc’ option in France is very different from the formal and binding ‘None Of The Above’ (NOTA) option we are proposing should be added to ballot papers in the UK, and indeed all countries. The crucial words are ‘formal’ and ‘binding’. Currently, blank votes in French elections are not counted as valid votes. They are counted, but not in a way that can ever affect the election result. For this reason, while they are seen as distinct from spoiled ballots (which can of course be counted as spoiled in error), they are no more useful as a measure of voter discontent in reality. In order to be truly meaningful, any option that allows a voter to register their rejection of all that is on offer and withhold their consent at an election MUST be formal and binding, as the act of endorsing / consenting by voting is formal and binding. It MUST be counted as a valid vote and, if applicable, be able to void the result and trigger a second election if it ‘wins’. At NOTA UK we are campaigning for just such a formal and binding NOTA option and nothing less. We have made representations to parliament and are actively lobbying the Green Party of England & Wales to promote their currently low key policy of getting RON (Re-Open Nominations) on ballot papers to centre stage in their manifesto for the upcoming UK general election. We have also suggested that they commit to using the more self-explanatory NOTA acronym and adopt our proposals for dealing with the logistics of a NOTA ‘win’. Mechanisms like ‘Vote Blanc’ and an increase in people using them is a significant step in the right direction. But until such time as they can materially effect the election result, they remain examples of faux-NOTA or NOTA-lite, symbolic token gestures that do nothing to empower those disillusioned enough with the political system to want to formally reject all candidates and parties put forward at election time. NB: This is a hastily arrived at assessment of the state of play. More detail to follow! So, the largely meaningless binary ‘choice’ season has been brought forward with Theresa May’s announcement of a snap general election on June 8th 2017. As with any election, this will inevitably lead to increased interest in our campaign to get a formal and binding None of the Above (NOTA) option on UK ballot papers. It therefore presents an opportunity to further establish the urgent need for electoral reform as a mainstream talking point in the coming weeks. 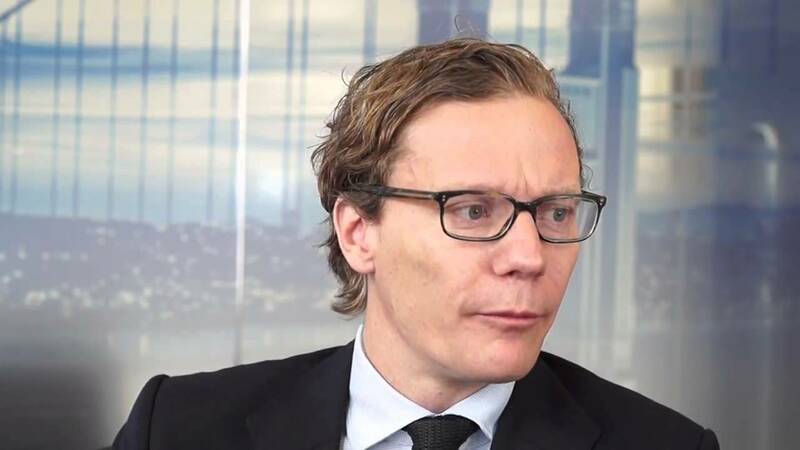 Neither an outright Tory government or a Labour government are likely to be open to the idea of introducing NOTA any time soon. 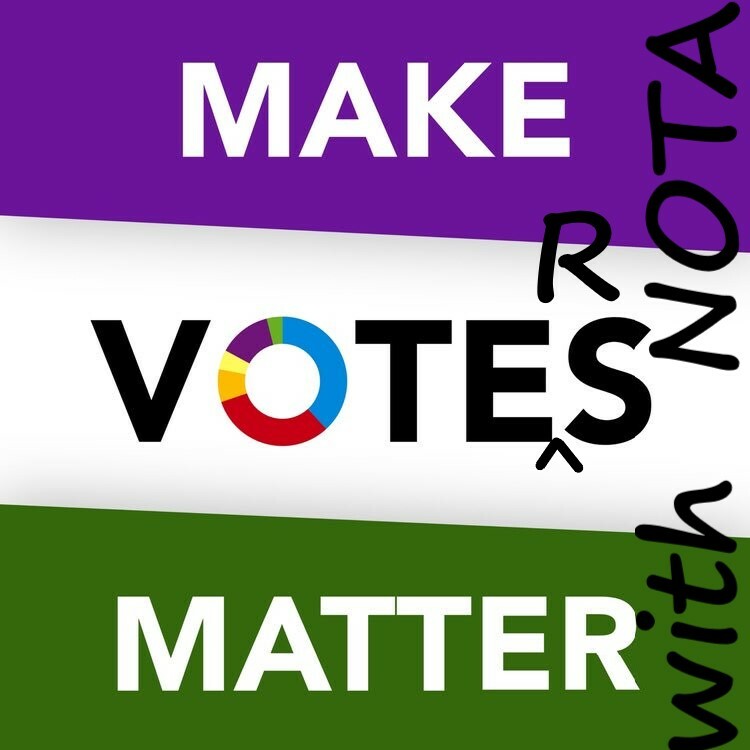 Currently, the only pro-NOTA party in a position to possibly end up in power in some small way after June 8th is the Green party, who have an official policy to get a form of NOTA (RON – Re-Open Nominations) on ballot papers. Clearly, the Green’s are not in a position to win the election outright and form a government. So from our point of view, the best possible strategy, it seems to me, would be to support the so-called ‘progressive alliance’ with a view to getting a ‘rainbow coalition’ government with the Greens and others in a position to influence the Jeremy Corbyn led Labour party. c) lobby all other parties that could possibly wind up in a ‘rainbow coalition’ government to publicly declare where they stand on the issue of NOTA and electoral reform in general. As stated, this is a swiftly arrived at strategy for the benefit of those asking what our plans are. Much more detail and rationale to follow! Feel free to share. NOTA UK is a volunteer run organisation, if you’d like to donate to our campaign you can do so via the paypal button at the top right of this page. 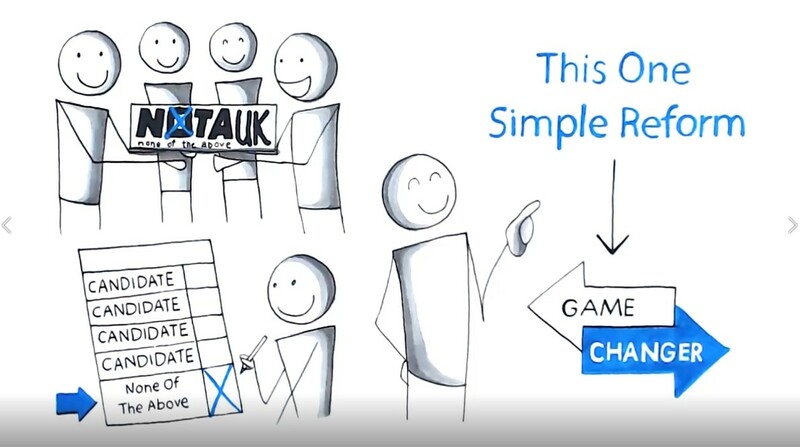 For an overview of our campaign and its aims check out our explainer videos.